No, it’s not true – and everyone knows it. 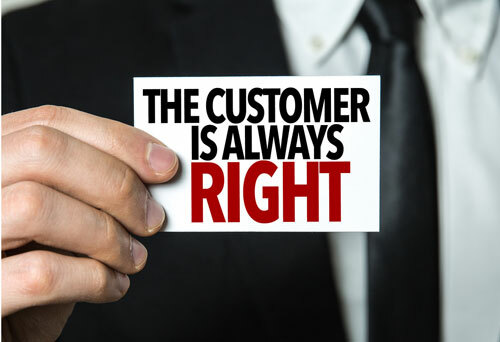 What the phrase really means is that it is best to assume customers are always right and give them what they want rather than lose good customers. But is this a good strategy to follow? I don’t think so, and others agree with me according to some of the things I read. These writers point out that there is a minority of bad customers out there that will take advantage of businesses, cost them money and should be “fired.” I agree. Not all customers are worth keeping. So now, what do you tell your employees? “Some customers are good; some are bad – use your judgment”? The answer becomes clear if we ask the proper question. Asking whether the customer is always right is a waste of time. The real question we should ask is: Does the customer honestly believe he or she is right? If you keep this phrase in mind and preach it to your employees, proper actions will become apparent. When customers honestly believe they are right, you should treat them as if they are right by honoring their requests and handling their problems. Customers may be making honest mistakes due to misunderstandings or confusion. Correcting them and rejecting their requests will simply create hard feelings and may lose them as customers. Employees must be trained to understand that saving a few dollars is not worth the loss of a good customer and that customer’s potential contribution to the bottom line of the business for years to come. If more than a few dollars are involved in meeting the customer’s request, a manager can be called in to aid in the situation. If there is a need to correct the customer to avoid future misunderstandings, do it after you have handled the complaint. If you do it before, you will be viewed as lecturing by the customer. If you do it after, you will likely be viewed as having provided additional useful information. If you think the customer is not honest in his or her request or complaint, you should, in my view, politely refuse with justification. You may make some customers upset and they may not come back, but so what? Why would you want to keep them if they are trying to rip you off? My daughter was a part-time employee for several years for a major department store. Occasionally customers would come in with clothes to return that had clearly been worn and washed or were stained, etc. Most of us believe in fairness and honesty, so taking the clothing back was demoralizing to the employees and made them angry. And they knew, of course, that doing so just raised costs for the business and, thus, prices for good customers. I believe that politely refusing these customers with appropriate explanation (e.g., “I’m sorry, but there’s a stain here. I won’t be able to sell it, so I can’t take it back”) is called for in such situations. If you lose these customers, they simply become a problem for your competition. 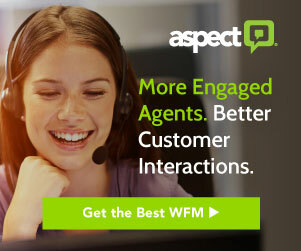 So, what if you don’t know whether or not customers are being honest in their complaints or demands? Then treat them as if they are correct, handle these situations to their satisfaction, but get necessary information so they can be tracked over time to determine whether such problems continue with them in the future. If problems continue, you may change your evaluation and actions toward particular customers. Dr. Dennis Rosen is The WinFluence(R) Expert on customer service and sales improvement. 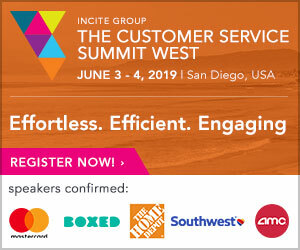 He helps retailers, service providers and professionals provide a Transformational Customer Experience(TM) to create customer devotion that leads to customer promotion. He is author of the book, Create Devoted Customers and the instructional audio, The Mental-Rental(TM) Sales Process. Dennis delivers value-filled presentations with an entertaining style that participants rave about.